Do I like the cover? : I do -- I adore it. It resembles Queenie and Tony perfect. First line: Queenie's not my real name, of course. Buy, Borrow, or Avoid? : Borrow or buy if you like novels featuring huge, evocative, unshakeable personalities and an unusual look at WWII London. Why did I get this book? : Superficially -- the cover. 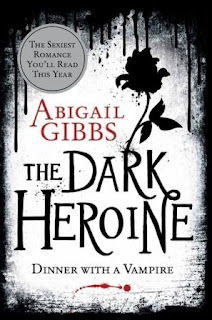 Review: I loved this book, which is surprising because it has a current of domestic abuse which I really can't take because I'm such a weenie, but, ohemgee, I adored our anti-heroine/narrator, Queenie Dove. Literally, from the first line, I was in love. Dawson's writing style -- casual, sharp, very Queenie -- is in present tense first person, but it so works for this story. Clever Queenie is cocky, arrogant, sure of herself -- and with good reason -- and the writing style has as much personality as Queenie does. It made the story bounce and race and gripped me. Born into squalor with an inattentive mother (that's being polite) and a criminal father, Queenie learns quickly what she needs to do to survive -- and not just that, but thrive. Caring for her beloved younger brother Bobby (who is 'a few currants short of a teacake', according to their Nan), they're sent to the country with the other London children -- until Queenie decides that isn't in their best interest and wrangles herself and Bobby back into London. 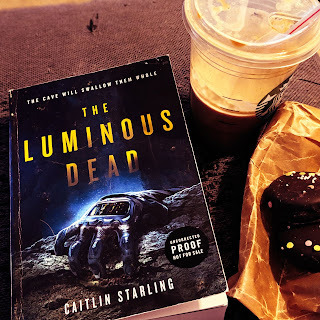 They survive the horror of the Bethnal Green Tube disaster (a claustrophobic part of the book that made me race to the front porch for fresh air) only to face more hardship -- which Queenie is determined to overcome. During the Blitz, Queenie learns to be a thief, and she quickly proves herself the master of it. Embraced and cared for by a circle of other female thieves and prostitutes, Queen -- and Dawson - revealed a world unfamiliar to me, the glamor, seediness, and grasping need of post-war London. She finds some measure of sexual satisfaction in Tony, handsome and dangerous, but has to decide what sacrifices to make for herself -- and eventually, her daughter. I suppose Queenie could be unlikable -- she's a criminal, and probably a bit of a liar -- but I was in love with her brash, vivacious, and unapologetic zest for survival. This was the only book that could help me ignore the drama of Hurricane Sandy: once I had Queenie in mind, I couldn't shake her! 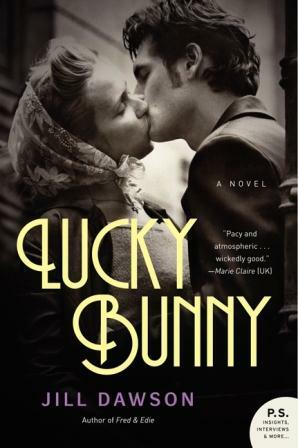 I'm thrilled to offer a copy of Lucky Bunny to one lucky reader! To enter, fill out this brief form. Open to US/Canadian readers, ends 11/16. How did I miss this one? It sounds fantastic. I read about that tube disaster in The Report. So sad! I can't squee enough about this book -- there's tons of plot but Queenie was/is sooo fascinating, I was hooked. I couldn't shake her -- really, just amazing. Eek, I am all over this! World War II-era London is my favorite, Queenie sounds brilliant -- and I love that cover, too. And if all of that weren't enough, your ringing endorsement really does me in! Adding to my wishlist now. Meg, MEG -- you must get this one -- it reads SO fast and is sooo fascinating -- the seedier side of WWII London was fascinating -- and Queenie was heroic in her own way -- she's a scrapper -- and and and! Honestly, I could gush all day. Do, do -- it's sooooooooooo good!! What a great review! I'm not one for historical fiction, but I just might give this one a try. Queenie sounds like a fabulous character! Thank you -- this doesn't have a strong hist fic feel -- not the sort I associate with Philippa Gregory or other Tudor fic -- it's more a character study -- and while it feels 'dated' in that Queenie lives through some iconic times, the book feels more about Queenie than about the historical events -- does that make sense? 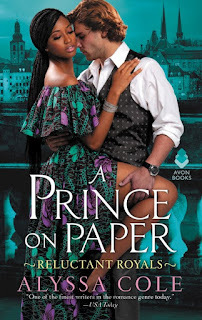 Yep, this just shot up my TBR list! I love that time period and I also love characters like Queenie - she sounds like a survivor. There really isn't! And Queenie is one charming lady! I luuuuuuuuurved this one too!!! A must read and an unforgettable heroine! This one will get gifted over the holidays -- I can't stand to give up my copy so I just have to buy one for all my friends! Oh, this does sound wonderful, and like something that I would love. You've got to love a character like Queenie, a woman who does what she must, but does it with pizzazz. I am really interested in this book now! Thanks for the outstanding review today, Audra! Heather, I do hope you get to it -- I'd love to hear your thoughts -- Queenie is really just unforgettable and impossible not to love -- for all her flaws, or because of them -- her pizazz is definitely one of her redeeming features! YES! I am so glad you loved it, since I'm just about to read it. Can't wait to see what you think -- such a fun book. Ms. Dawson -- thank you so much for stopping by to comment -- you've made my day! (I just sent a squee-y email to my wife!) Your book entertained me through my shuttered up time during Hurricane Sandy -- so I'm especially grateful! I think I can see why she's likeable, even if the description doesn't suggest it. The story sounds very interesting, not the sort you'd usually hear about (especially going back to London instead of staying safe). Ok, I want this one. I have seen other reviews but skipped them because of that title, but oooh WWII London. Intrepid female lead. Sounds fantastic. Jen, give it a chance -- it is so dark/wry/rambunctious/despicable -- I think you'd dig it. Wonderfully seedy! Ok, this is not one that I would probably have even considered if it hadn't been for your review! It sounds terrific. Queenie sounds like one heck of a gal! I'm looking forward to getting to know her for myself. Thanks for being on the tour Audra. I hope you and your wife made it through the storm safe and sound! 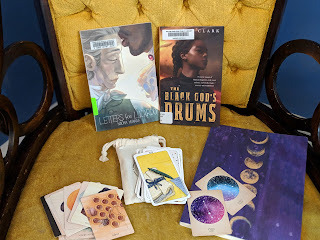 Audra, you have soooooooooo many great books that you give away, and your reviews significantly support my initial thoughts about these books. So, I am entering yet another one of your superior giveaways. Like, Anna, I'm wondering how I missed this one too. I've been meaning to read Dawson for years, and this sounds like the perfect place to start! I also increasingly love fiction that may be about WWII, but also spans more time to look at the before and/or after. Dawson provokes strong feelings in people but this one was a huge winner for me, obvi -- I loved seeing a seedier side of WWII as well as life post-war. 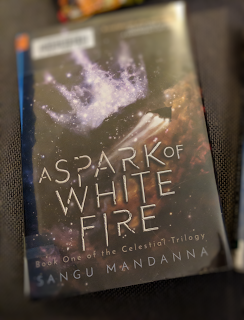 Okay, well, now that I've read this and can compare, I'm back! We now know we don't have completely compatible taste in books, but I think that was inevitable. I have yet to find a book twin, though I shall continue to keep an eye out. The writing style definitely had personality, but it was just odd. I don't know. Whether writing styles appeal to you is so subjective. 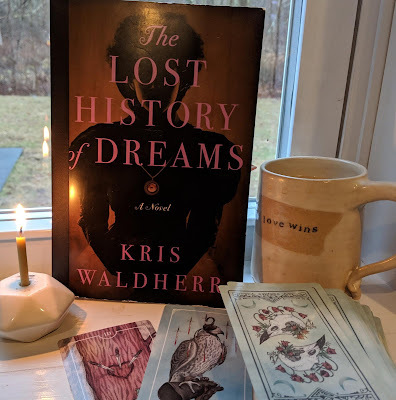 I mean, I'm sure I could make a list of the authors whose writing just makes me squeal with delight and other people would find it hackneyed and amateurish. Also, for more WWII and an even more intense and unreliable Queenie, you really should read Code Name Verity. It's a YA, but it's definitely not categorized that way for any sort of childishness. That book is gut-wrenching. 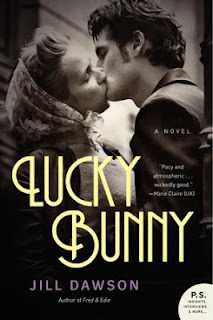 I just reviewed Lucky Bunny and loved it too. So surprised to hear other people did not but I do agree that it all revolves around if you enjoy Queenie --- which I totally did. Great review! This sounds excellent and is going straight onto my wish list. Thanks for the great review! This sounds like a very interesting book - I love how it is the gritty underground of London. I will have to put this on my reading list.